Message your entire audience about any new review or affiliate offer you have going on. Your message goes right into Facebook Notifications, and EVERY follower gets EVERY message while your commissions EXPLODE. We personally checked this out and thought it was so good that it deserved an additional BONUS too. Not only that, but we ALSO managed to twist a few arms and get you special ‘back door‘ access for the hugely discounted ‘lifetime‘ option too. Ready Made Pro Video Templates You Can Edit! Did you manage to check out these AWESOME Video Templates? If you haven’t then you’re in for a treat! As you can see from the page these aren’t just basic templates, they are HOLLYWOOD quality, all designed specifically to work with the BEST video sharing sites. In fact, they are that good I created a HUGE BONUS for them, which includes many, MANY additional complementary video related goodies. 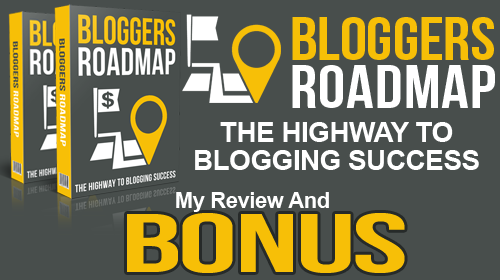 Bloggers Roadmap – My Review! The fact Daniel has built a considerable blog following would make me say yes, after all if you create a product about blogging you better have a successful blog yourself. I actually thought it was that good that I decided to offer an ADDITIONAL BONUS. The fact that I am taking the time and effort to do this should speak volumes about this product. You can check out my BONUS here and also find out all about The Bloggers Roadmap from my bonus page too. As usual, please feel free to share this if you found it useful and if you want to comment I’ll be happy to ‘personally’ reply to any comments. 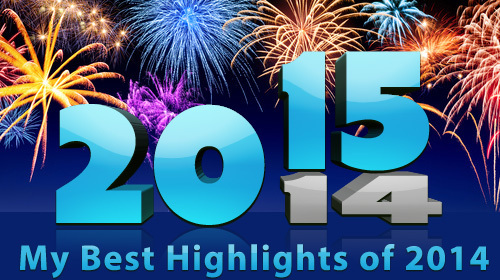 Highlights of 2014 and $100 Gift For You! There we have it, another year has passed us by and another one just beginning! I’m going to go over some of the things that I have been up to this year, so you know exactly what I’ve been up to. It’s real simple, all you have to do is to reply to this post with YOUR personal highlight of the year and share on Facebook or Twitter, I’ll then put all the names into a hat and randomly choose the lucky $100 winner… Simple as that! 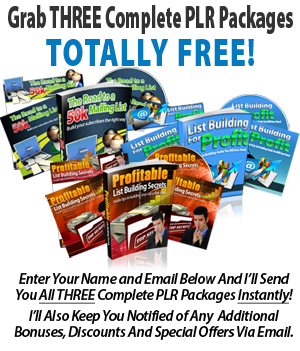 January 2014 – Myself and Daniel Sumner released PLR Rights to ‘Essential Marketing Tools and Strategies‘ for only $5, one of a long line of TOP Quality PLR releases we made. Myself and Omar Martin also announced our Super Hero Bonus for John Thornhill’s Partnership to Success in January, this turned out to be a MASSIVE success. Another GREAT product launched this month, which myself and John Thornhill created a MASSIVE BONUS for was ‘Countdown Monkey‘, adding countdown timers to your pages increases sales DRAMATICALLY, so you really should check this out. February 2014 – Myself and Daniel Sumner released PLR Rights to ‘Product Creation Madness‘ for only $5, another of our TOP Quality PLR releases. Interested in the SIMPLEST, BEST & most reliable ways of creating a regular passive online income? In February, Matt Garrett launched Niche Reaper 2.0 a great keyword discovery tool that delivers 5000 pre-qualified and pre-researched HIGH VALUE keywords per DAY. Also in this month Randy and Simon launched their Faster Smarter Better business building system that does exactly what it says on the tin. this was the IDEAL solution. Another GREAT product launched this month was from my good friends John Thornhill and Daniel Sumner, called Product Development Control, This has to be the BEST product creation course EVER, and you can get it for just a few dollars! Also this month Myself and Daniel Sumner released PLR Rights to ‘Home Business Guru‘ for only $5, another of our TOP Quality PLR releases. 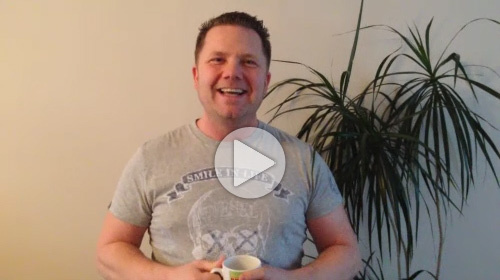 Finally, at the end of March, myself and John Thornhill released a MASSIVE BONUS for the excellent ‘Popup Monkey‘, this brilliant tool is quite simply the SIMPLEST and MOST EFFECTIVE way to grab your visitors attention. April 2014 – You know how AWESOME and ESSENTIAL Facebook is these days right? That’s why myself and John Thornhill launched our ‘Facebook Ultimate Marketing Training‘, to help people learn how to PROFIT from Facebook. Also this month, myself, John Thornhill and Omar Martin released one of our BIGGEST BONUSES ever, with our ‘FB Ads Cracked‘ promotion. May 2014 – This month Myself and Daniel Sumner released PLR Rights to ‘Facebook Strategies and Profits‘ for only $5, another of our TOP Quality PLR releases. Another EXCELLENT product this month was ‘WP Speedy Links‘, with this WordPress plugin you can monetize your ENTIRE WordPress website or blog for ANY keyword on FULL AUTOPILOT in just 10 SECONDS! The end of May was when my good friend Stevie B launched ‘Mammoth Graphics Pack‘, a massive package of high quality, professional website graphics that you can simply copy and paste into your websites, blogs or products to give your sites an instant makeover in a matter of minutes. June 2014 – The first great thing to come in June was Easy Sketch Pro, it’s quite honestly the BEST and SIMPLEST Drag and Drop sketch video creator that you will ever lay your eyes upon! It was that good I created yet another bonus for it (still live). The next great thing in June was Covert Shirt Store, This really is the SIMPLEST way to take advantage of the MASSIVE popularity for T-Shirts right now. After that myself and John Thornhill had a special launch for our Like Page Builder 2014, this software can help EVERYONE MAXIMIZE on the Facebook popularity, in the FASTEST and SIMPLEST way humanly possible. Then Myself and Daniel Sumner released PLR Rights to ‘Affiliate Marketing Kickstart‘ for only $5, another of our TOP Quality PLR releases. July – July started off with us giving you an awesome content filled webinar, we then teamed up to give you yet another BONUS (expired) for White Label Millionaire. Then we gave you the chance to join another free live workshop. Lastly in July Myself and Daniel Sumner released PLR Rights to ‘Teespring Profits‘ for only $5, another of our TOP Quality PLR releases. August – The first great thing in this month was John and Omar’s ‘Easy Video Solutions‘, this is excellent for making your sales videos look great! Then myself and John teamed up yet again to bring you another BONUS for Michael Cheney’s ‘Fan Page Money‘, an awesome product for helping you make money on Facebook! Next this month we released ‘List Phoenix‘, a great product that shows you turn your exit traffic into CASH AND SUBSCRIBERS! Then was the release of John and Dan’s Product Launch Control, and yes, I teamed up with Omar Martin to bring you another awesome BONUS for that! After that Myself and Daniel Sumner released PLR Rights to ‘EZ Money Quick Start Blueprint‘ for only $5, another of our TOP Quality PLR releases. September 2014 – This is when we released our 60 Minute Reseller, our customers absolutely LOVED this training that shows you exactly how to create a complete product and get it up for sale in less than 60 minutes! Also this month Myself and Daniel Sumner released PLR Rights to ‘Crushing Your Goals‘ for only $5, another of our TOP Quality PLR releases. 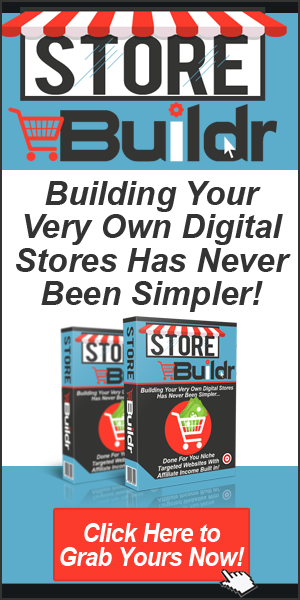 Lastly this month, my friend Mike Steup released ‘Authority Site Builder‘, this proved to be a great success for people wanting to make fast websites that generate cash online! Another great product this month was Simon & Jeremy’s Tutorial Mixer WordPress Video Tutorials, these also came with PLR rights at a very low cost! make sure you’re there for all the other LIVE training sessions. Also this month Myself and Daniel Sumner released PLR Rights to ‘Seven Ways to Success‘ for only $5, another of our TOP Quality PLR releases. Due to VERY popular request, later this month we re-released our 60 Minute Reseller at a very special price with added bonuses too! December 2014 – The first GREAT thing this month was Landing Page Monkey, this app is totally awesome. In just a couple clicks you can create beautiful lead pages, webinar registration pages, contest registration pages, and any other sort of opt-in page to build your mailing lists. I provided a great BONUS for this and you can still grab it now! Last, but not least this year, myself and John Thornhill released our Niche Marketing Kit Festive Blowout(massively discounted), this is the most comprehensive package of marketing tools and software that you will ever see for a fraction of the cost! In between all this we’ve also given away FREE websites every month with Free Monthly Websites, as well as multiple free webinars that will help you succeed. So that’s it, my highlights of 2014, I also did a lot of ‘behind the scenes’ stuff, which I’ll tell you about later! Sorry if this post went on a little longer than expected, but there was a lot to fit in! I’ll make the draw in a couple of weeks LIVE, you must be able to receive the cash via Paypal, if you cannot and you still wish to enter, I will donate the cash to a deserving charity in your name. Please make sure you use your best email address when you reply, as I will need to contact you on it if you win! Good luck for the $100 cash draw and I hope you have a great 2015. UPDATE: THE LIVE DRAW! Did you win? Just a real quick post here to let you know about a cool WordPress Plugin that I found. This wordpress plugin uses proven psychological theory to get your visitors looking at what you choose! It’s an attention grabber with a difference. An awesome wordpress plugin that looks and acts just like a facebook message. That’s exactly where and what people today are conditioned to click on! • Add html into the box and add clickable images. Have the popup activate in the center of the page and play your sales message! • Lock the popup so that if the user goes to close the popup, an overlay activates to say ‘like us’ on one of these three – ‘like’ on facebook, set a twitter message, auto pin an image on pinterest. The popup works on shortcodes, it can be set to be used on individual pages so that you can have two completely different popups on different pages. It can be edited on the fly – you don’t need to edit each page individually, you can edit the popup in the editor and it will change across all the popups. In just one click, you can instantly disable the popups and you can change the timer across multiple popups. I’ve got to say, this is quite simply one of the best products I’ve seen in a long time and it’s really easy to use. I mean, this one can’t fail to grab your viewer’s attention. If you want sales, you’ve got to get your stuff seen. That’s exactly what this little jewel does. Get it now and just watch those clicks come rolling in! 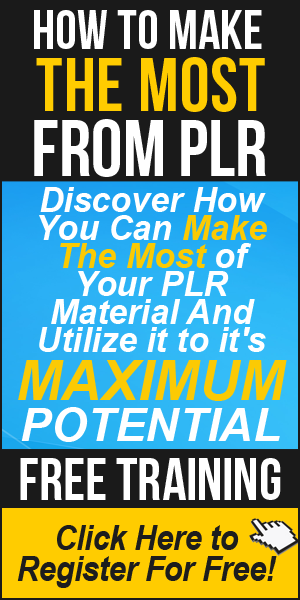 Make Money FAST With Your PLR Material! I wanted to share with you something that myself and Danial Sumner have been working on for a while now and we’ve just released it as a VERY special offer. In fact, we got asked this question so much that we decided to create a SIMPLE to follow 12 Part Video Course that explains EVERYTHING that you need to do, step by step! Getting Your Sales Pages Ready to Sell. It’s good to have a professional in your corner especially when it comes to creating sales pages. In the video you will be shown exactly what to do and how edit and upload your sales pages to get them ‘Sales Ready’. This training has massive value for getting your products ready. Making Your PLR Content Unique. Making your content your own is a great way to establish yourself as an expert in your field. It’s also a great way make an income from product and affiliate advertising. 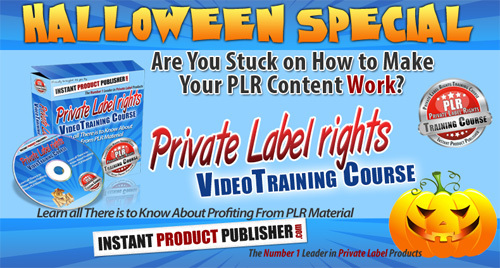 In this amazing training video you will be shown just how to make your PLR content your own to improve your income and also your professionalism. Making Auction Ready Sales Pages. In this video you will be shown how to add your sales pages to auction websites to earn an income from selling physical information CD’s and DVD’s. Selling digital information in this way can create a great online income and have huge mailing list and affiliate income potential. Yes, it’s that simple. We will show you how to create your own media CD’s and DVD’s to sell anywhere! Not just auction websites. Anywhere you can sell physical goods you can sell CD’s and DVD’s to create an offline income. In this video we will show you the very best ways to utilize your PLR articles, making them REALLY work for you in the fastest and simplest ways possible. Creating a Mini Course With Your PLR. Email mini courses have been around for a long time and they work just as well now as they did in the past. Why? Everyone loves free content and a free informative mini course is still a great way to reach your audience no matter what niche you are in. In this video we will show you exactly how to reach those niches and create your own killer mini courses. Creating a Free Report With Your PLR. Making money from PLR is not just a case of selling an eBook! It’s what you do with the whole content package that matters. By syndicating your content to more than one end, you can increase your revenue substantially! In this video we will show you exactly how to create a cut down report which you can use as leverage to drive sales and traffic to your main offer. Converting Your PLR Into Articles. Article marketing isn’t as great as it used to be, but converting your PLR to articles still has great value. Inside this video we show you how you can use your articles to your advantage and still make them count. Creating an Offer For Facebook With PLR. In this video we show you how you can utilize the power of Facebook pages to add a free offer for visitors to download. This technique alone can create a ton of traffic back to your chosen offers, allowing you to maximize sale potential. Using Social Media With Your PLR. Social media is the hottest place online at the moment to connect with people and find traffic. By utilizing your PLR in the ways we teach you in this video, you can create instant content and become an instant expert in your chosen niche. Using PLR to Create a Niche Blog. Sometimes there is a need for instant valuable content. By using PLR articles within your own websites and blogs you have the ability to create instant value and information for your readers. In this video we will show exactly how to extract and build your own killer content without typing a word. Bundling Your PLR Into Packages. We’ll show you the very best and most effective ways that you can package your PLR material into larger packages to increase your subscribers and earn a much larger income. Money Making Tips and Tricks. 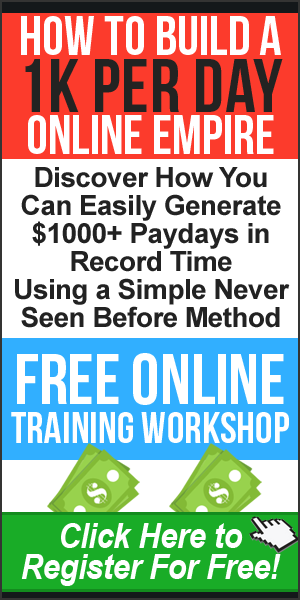 As well as the training we will also supply you with some great money making tips and tricks along the way. It’s these golden nuggets of information which will help you get the most from your PLR and earn you a fantastic income for a long time to come. So as you can see, we have covered EVERYTHING, and as we ALWAYS try to help you guys out in EVERY way possible, we also made the price a CRAZY $9.95 for a limited time ONLY. Check out the video on the page and see all the details here. Blog Defender Bonus Draw… Did You Win? As promised, here’s the results of my Christmas Eve draw for my bonus. Hope you all have a great Christmas and an awesome New Year! Why Do You NEED Website Traffic and How Can it Really Help You? In this post I’m going to highlight a few reasons of actually WHY you do NEED website traffic, just in case you are wondering what the heck it is all about! First of all, you need to understand that you need traffic/visitors for pretty much everything you do online, and the same applies for offline marketing too. Imaging a shopping mall with no shoppers, a theater with no audience, or a TV program with no viewers, you see what I’m getting at? All of these things, just like online stuff, ALL NEED some form of traffic in order to work. Obviously, traffic methods for everything varies, but the fact still remains that you NEED website traffic if you want to succeed online! 1. You need website traffic if you want to sell any products online, it’s no use just having a great product if nobody ever sees it. 2. You need website traffic if you want to build your mailing list. We all know how important building a mailing list is, but do you really think that all you have to do is place a squeeze page or an optin form online? You need to send traffic to your squeeze page or optin form in order to get people to sign up. Incidentally, you can join my list if you are not already on, by entering your name and email in the form on the right of this page! => (See what I did there? I re-used the traffic reading this post (you) to build a list :-)). 3. 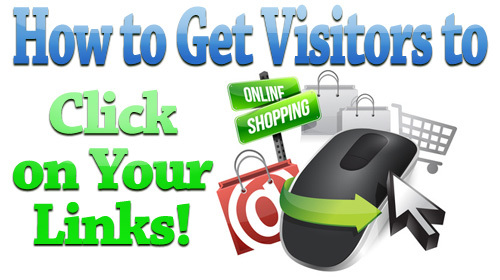 You need website traffic in order to get people to visit your blog or website. Let’s face it, if I never had any traffic methods in place then you would not be reading this post and learning why you need traffic! I know, it’s a weird aint it! The same applies for any website online. 4. 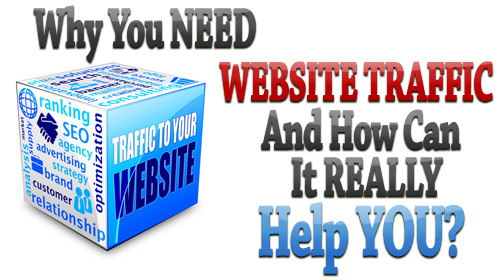 You need website traffic if you want to make more money online. At the end of the day it’s all about numbers, the more people that view your websites etc. the more money you make. As an example, if you placed an advert on your website and only 10 people viewed it then you probably would not make any money at all, but if 1000 people viewed it then you’d make a tidy sum, because on average 1% of people take action. 5. You need website traffic if you want to build your brand name and get yourself known. Building your brand name can dramatically increase your business as people tend to trust people they know more and this reflects on buying. However, you still need to give yourself more exposure, so you need more traffic! 7. You need website traffic if you want the potential to increase your search engine and Alexa ranking. The more traffic you have, the more you get from Google, what I mean by this is let’s say you have 100 websites linking back to your website, Google automatically knows this and gives your website a better ranking, allowing it to be found quicker in the search engines. That’s just one of many examples. 8. You need website traffic if you want to save money on advertising. Once you have streams of quality traffic going to your website then you no longer have to take the chance of paying for your traffic in the form of advertising. You could actually get to the stage where YOU sell the advertising space on YOUR website. 9. You need website traffic if you basically want to have control of your income at your fingertips. Once you have control over your website traffic then you can basically direct it to anything you like, your latest product, the latest affiliate product, Amazon, eBay, Clickbank, in fact anything you like! This gives you instant income at the press of a button, so to speak. Those are just a few of many, MANY reasons why you NEED website traffic, if you have any good ones of your own then let me know and I’ll update my list. So now you know why you NEED website traffic, all that remains is for me to tell you about the latest and greatest traffic product that will help you get all the traffic you will ever need! It’s the latest creation from John Thornhill and it’s called ‘Simple Traffic Solutions‘. In fact, it’s that good I put together my BIGGEST, MOST VALUABLE, MOST TARGETED, HIGHLY EXPLOSIVE BONUS EVER for a $4.95 product. If there are still some of my bonuses remaining then you can check out everything here. I hope this post has helped you understand the IMPORTANCE of website traffic, and I hope my bonus helps you get the most from the AWESOME Simple Traffic Solutions. Please feel free to let me know any of YOUR best FREE traffic methods or any more reasons why you think people NEED traffic. 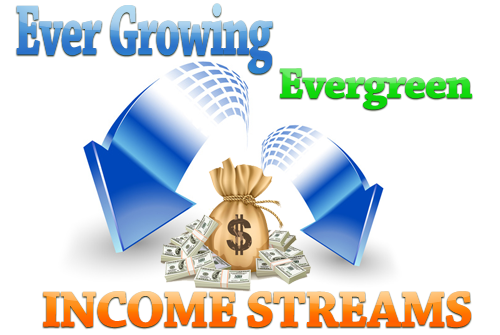 Sales Funnels Build Ever Growing Evergreen Income Streams! Ok, with the recent launch of Omar and Melinda’s AWESOME Buzzinar, I thought I’d write a post that basically explains a little about sales funnels to show you why they are so important and how they can build you Ever Growing, Evergreen Income Streams! First, you need to understand that a sales funnel is more like an ongoing process of turning your leads into buyers, rather than simply buying or not buying whatever it is you are offering. For example, let’s say you are selling a product/service, without a funnel in place your prospect will either buy or not buy and that’s where it ends! However, if you do have a funnel in place that is only the beginning, for the same amount of traffic you are going to get a LOT more return for your efforts. 1. Rather than sending your traffic to a sales page you could send them to a squeeze page, possibly offer a free gift that is related to your product/service in return for their name and email. This gives you the opportunity to sell to your prospect at a later date, possibly multiple times. So even if they don’t buy today you have the chance that they will at a later date. 2. Now you can send your leads to your sales page for your product/service, they still can only buy or not buy, but this time if they don’t buy you still have them on your list, so you can possibly sell to them again at a later date. 3. If your prospect does buy, you can now offer them a higher priced second offer (this is an upsell), products/services that are related to your initial product work best, possibly an upgrade or advanced version. 4. At this stage you could possibly add another third offer if they purchase your second offer. 5. If they decline the higher priced second offer then you can now offer them a lower priced offer from that page (this is a downsell), again, keep this related to your initial offer, possibly a reduced/lite version. 6. Once your prospect has purchased, be sure to add them to another list, this is your buyers list, the most important list you can have! 7. You can now possibly add more offers in your autoresponder follow up messages, here’s a few ready made messages you can use. If you follow these steps to initiate a Sales Funnel then you will increase your sales/optins exponentially. Of course this is just one way you can initiate a sales funnel to DRAMATICALLY increase your conversions, if you are going to initiate your own sales funnel, then the best advice I can offer you is to grab Omar and Melinda’s Buzzinar, this gives you everything you need in simple to follow, step by step videos, as well as loads of ready made HTML templates, WordPress themes and plugins that will make your life a LOT simpler with sales funnels! In fact it’s that good I even offered a MASSIVE bonus for anyone who grabs it from my link, check it out here. I hope this helps you understand the IMPORTANCE of sales funnels. If this post helps you then please share/like using the sharing tools on this page.